ranite Works installed a granite kitchen countertop for us. Everything from the request for a bid, to the bid, to the installation was flawless. Had been putting off the project because of the potential for a hassle and disappointments. I feel silly...Mark C.
I had to comment on this business. I called them and spoke with Gus who is one of the principals of this company. Nice guy. I wanted to have someone in their company come out and see if they could spruce up the granite, strip it, reseal and polish...Dawn M.
I am a general contractor and I have been using Granite Works for years. They are honest people in an extremely competitive business who try very hard to ensure you get the quality product you deserve. When issues arise (which do because let's face it...Steve S.
This company was FANTASTIC!!!! 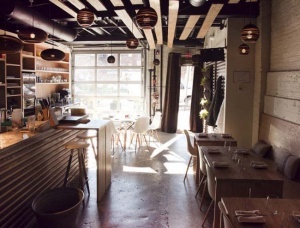 Bruno and his company were super quick and responsive to both email and phone requests. They came on time and on budget. A rarity in this day and age. I tried calling some other companies, and they wouldn't even give me the...Jill J. It takes a really honest businessman to tell you when you don't need their services. I called today and asked to send them photos of a small chip on my granite kitchen island counter, and Gus called me back immediately and said the small...John T.
Ask about our Remnant Special! 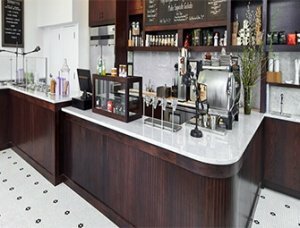 Granite Works is a premier granite fabrication and installation company. We serve homeowners, kitchen and bath designers, remodeling contractors and custom home builders. Our facility accommodates a wide variety of granite slabs and fabrication equipment; we are your one-stop shop for granite countertops in the Washington, DC, Metro area. We also offer an extensive selection of marble, quartz and quartzite countertops. Designers and homeowners are constantly looking for products that deliver durability without sacrificing the look of the space. Both natural and engineered stones are gorgeous, durable and increase property value! Do you know which material suits your family’s lifestyle? If not, our local granite dealers can help! With so many beautiful designs and different materials to choose from – including granite, marble and quartz – it is easy to get confused when shopping for a new countertop. Our team will guide you in the right direction without blowing your project budget. From entry-level all the way to semi-custom construction, we have the cabinet door style for your project. With our in-home kitchen design services, our designer will create a layout that will maximize your space without breaking the bank. 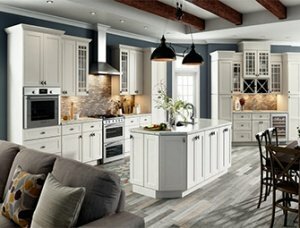 Granite Works can help you finance your dream kitchen today! Polarstone®, Cambria®, Caesarstone®, Silestone®? Are you wondering which quartz brand should you choose? They all have beautiful designs, but you will have to make a decision soon. Let us help. Granite and marble are two materials found in nature. Both offer gorgeous designs and a variety of colors, and are available in different finishes; polished and honed finishes are preferred for kitchen countertops. Granite Works fabricates and installs over 1,000 new kitchen countertops every year! That’s why our company has become a local leader in natural and man-made stone fabrication. We strive to set ourselves apart from the competition. We have over a decade of history with more than 5,000 satisfied customers. 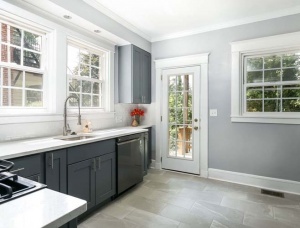 We are your ideal destination for purchasing granite countertops and custom cabinets in the Washington, DC, Metro and surrounding neighborhoods. Most of our customers find their desired stone from our vast inventory. If you don’t find your ideal piece in our showroom, you can visit one of our suppliers to handpick your slab. We will then fabricate and install it for you. Either way, you will be happy with the finished product. Please browse through our website to learn more about us. When you’re ready, we encourage you to visit our showroom to choose countertops for your dream kitchen. 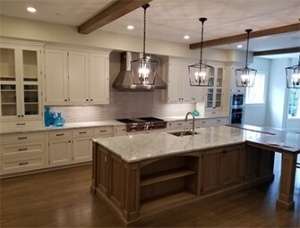 Granite Works has been serving the homeowners, builders, interior designers and kitchen and bath dealers of DC, Maryland and Virginia since 2006. Designers and homeowners are constantly looking for products that deliver durability without sacrificing the look of the space. Both natural and engineered stones are gorgeous, durable and increase property value! We offer an incredibly fast turnaround time. Initial measurements to final installation can be completed in one week! No delays, no additional costs, just timely, as-promised service. Homeowners – As a homeowner, we know you have a choice when it comes to stone purchase and installation. Granite Works is the premier provider for homeowners throughout our areas. 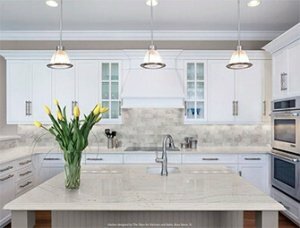 Remodeling Contractors/Home Builders – We know you have a selection when it comes to where you purchase your clients’ granite, marble or quartz. We also know that our performance will reflect more on you than it does on us, making our execution all the more critical. Interior Designers – We have worked with many interior designers and completed several prestigious stone installations for their clients. Along the way, our project managers have learned the specific needs and desires of the designer community to serve their stone countertop needs efficiently. Kitchen & Bath Dealers/Cabinet Suppliers – Clubbed with the most modern stone cutting machines with experienced in-house experts, we are able to offer one of the fastest turnaround times in the stone industry. Having trouble finding the right stone for your new project? Our stone experts are here to help. Granite Works serves residential and commercial customers throughout DC, Maryland and Virginia. When you get to Taft Street, look for our sparkling red slab sign and you will find us! Call us at (301) 640-5010 or fill out our online form to schedule a free consultation.